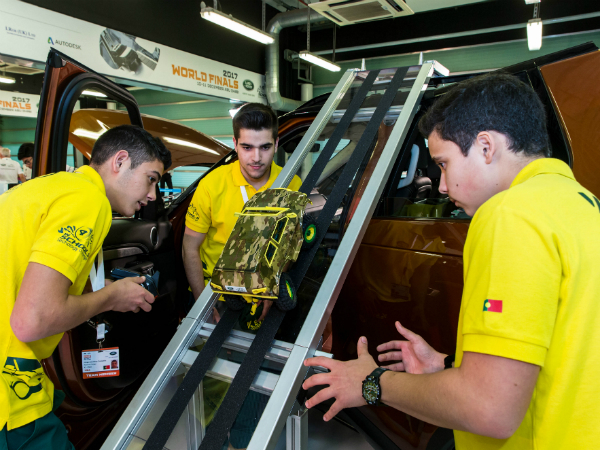 After a tough, exciting competition, Team K-EVO from Escola Secundária de Ponte de Lima in Portugal, were crowned Land Rover 4x4 in Schools Technology Challenge champions. Everyone who took part in the two-day event in Abu Dhabi spent a great deal of time preparing and qualifying for the competition, not to mention the finals themselves, so to win the whole thing is a truly extraordinary achievement. One young man who knows how this feels first-hand is Team K-EVO captain Luís Ligeiro, 17, (pictured left) who we spoke to this week. “It feels absolutely amazing to win the world champions title", said Luis. "We have spent more than 2,000 hours working on our project and researching all the best technologies from the car industry to use in our 4x4. We’ve used a 3D printer to make our body shell and have designed eight shock absorbers to help us get over the obstacles. “We are students from the 12th grade of the Electromechanical Technician course which specialises in industrial mechanics, although our teammate Pedro was unable to join us due to illness, so we'd like to dedicate this win to him." “In July, we started designing our 4x4. It is a modern urban car that can cross all kinds of terrain; it’s a real chameleon and made from sustainable materials with innovative suspension and a retractable hook. “We have learnt so much about teamwork, especially when dealing with project set-backs when some pieces broke or got damaged during tests. Sometimes we designed pieces or had ideas for the car that just didn’t work and we had to adapt and change them. Our engineering, innovation, coding and electronics skills have all grown significantly along with our awareness of sustainability. “We were all interested in STEM before but now, after learning all about the Land Rover Discovery production processes and electronics, we’d love to be engineers innovating and creating future vehicles in the future. 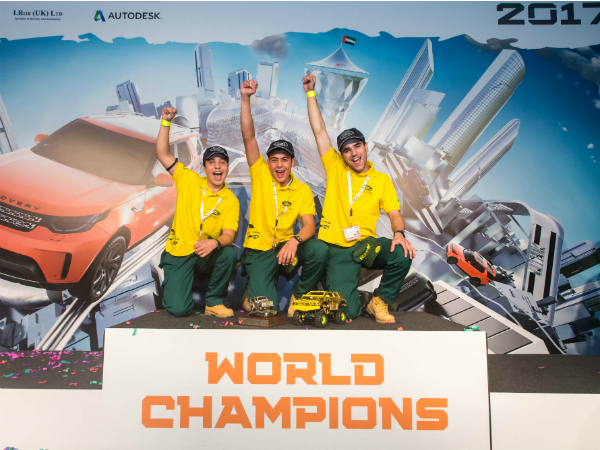 “We’ve also been learning from other teams at the world finals, exchanging knowledge and learning about other cultures from all over the world. We’re so grateful for the opportunity to take part, it has been life-changing and eye opening. TEAMTALK APPVENT CALENDAR WINDOW #11 of 12!